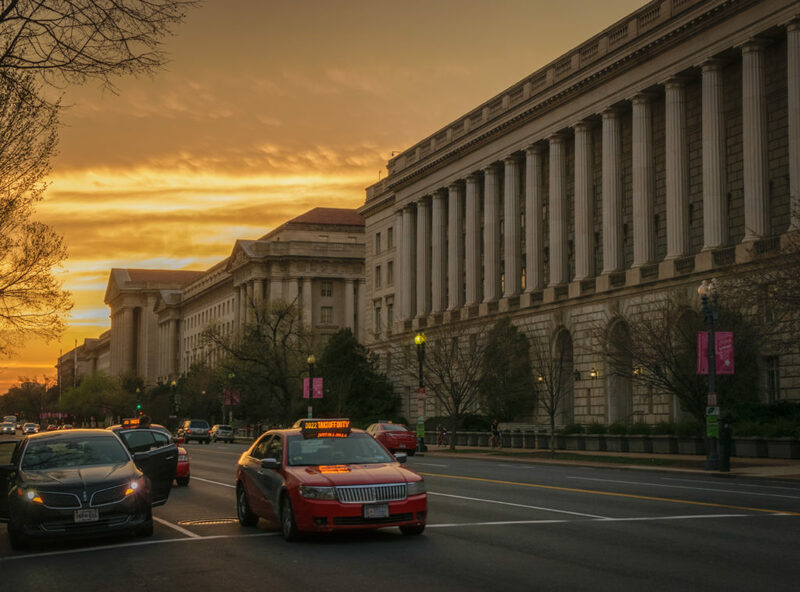 A fiery sunset cast its glow down Constitution Avenue as I stood on the steps of the Smithsonian National Museum of Natural History. The crowd pressed forward in anticipation as the doors to the world famous museum opened. There are few things that could make a trip to the Smithsonian more enjoyable. As the sun set on D.C. it was also setting on night one of the Craft Brewer’s Association Craft Brewer’s Conference. They were kicking off the first night’s reception in style. Sure there would be exhibits to browse, exotic animals and strange creatures to see. But tonight was no ordinary night at the museum. Tonight there would be beer. The last time Washington hosted the CBC was in 2013, since that time the industry has expanded and the event has more than doubled in size. Keeping with trends this year’s CBC proved to to have record turn out, with over 13,000 craft beer professionals and upwards of 900 exhibitors. All of them descending on the nation’s capital for three days of key note speakers, symposiums, and productive discussion all centered around the continuing growth of the craft industry. But before everyone got down to business it was time for the welcome party. As I entered the museum’s rotunda I found myself quickly rubbing elbows with all the big names in the craft beer world. All of this under the shadow of a massive bull African elephant. 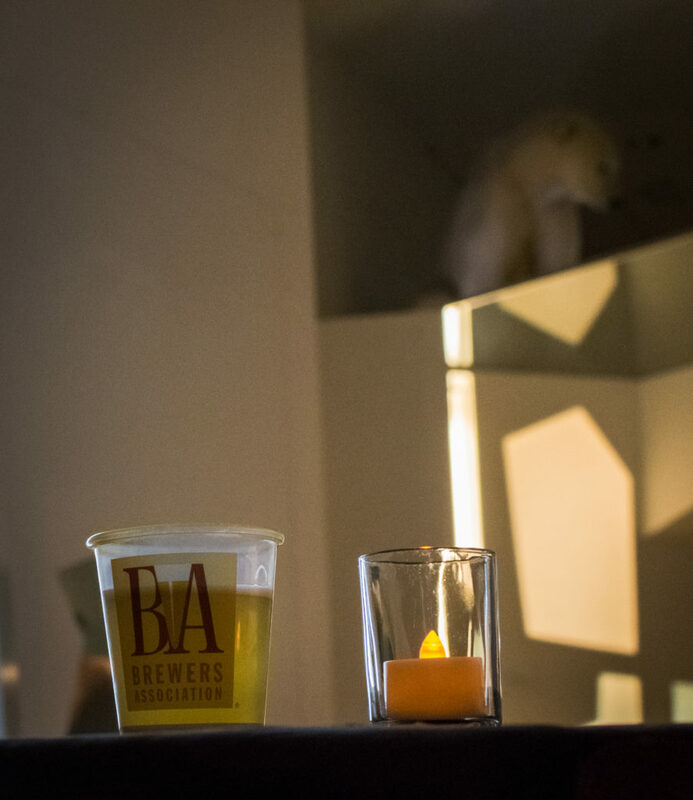 Around the giant mammal, tables of the finest local brews the District had to offer. Grabbing a cup of DC Brau Brewing Company’s latest hop forward IPA I looked up at the pillared walls of the rotunda and saw the Brewer’s Association logo illuminated on the ceiling. This was definitely not the Smithsonian class trip I remembered as a kid. As I waded through the crowd of beards and flannel from the Hall of Mammals to Human Origins I passed stations of beer being poured from the latest and greatest of D.C’s, Maryland’s and Virginia’s most creative craft breweries. 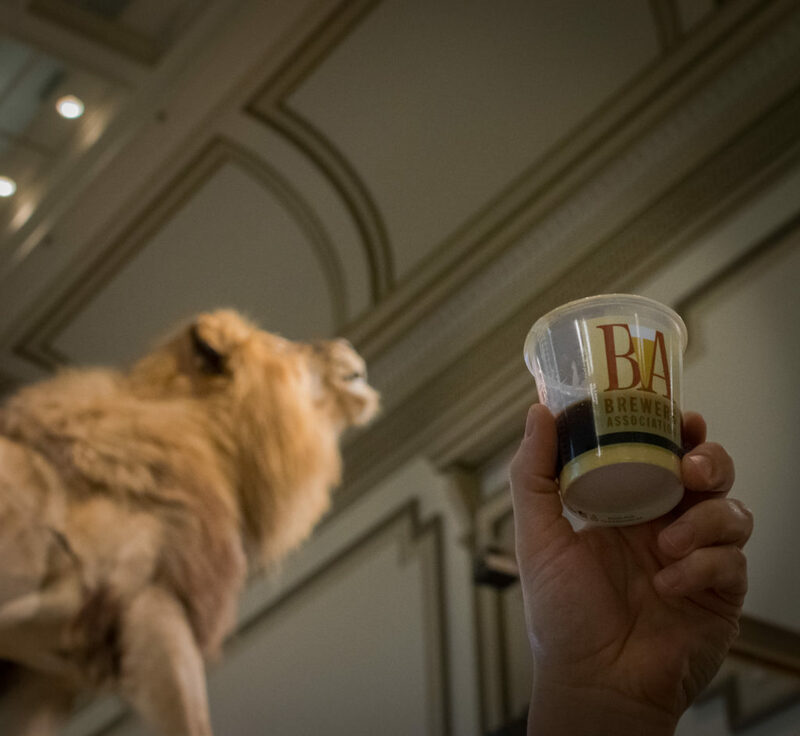 A rich and malty stout from Hellbender Brewing Company accompanied me as I mingled among brewers, industry leaders, homo-erectus, lions, and polar bears. Climbing the steps to the second floor I passed tables of eats to compliment my brew. Plates of finger sandwiches, mini pizzas, and asian style nibbles all were laid out at intervals throughout the museum floor. Passing by the Hall of Gems and Minerals I couldn’t help but smile seeing drafts of Union Craft Brewing Company’s beer being dished out right next to the Hope Diamond. In a place where so many great creative minds were coming together to discuss the future of the beer world I was excited for the coming days. 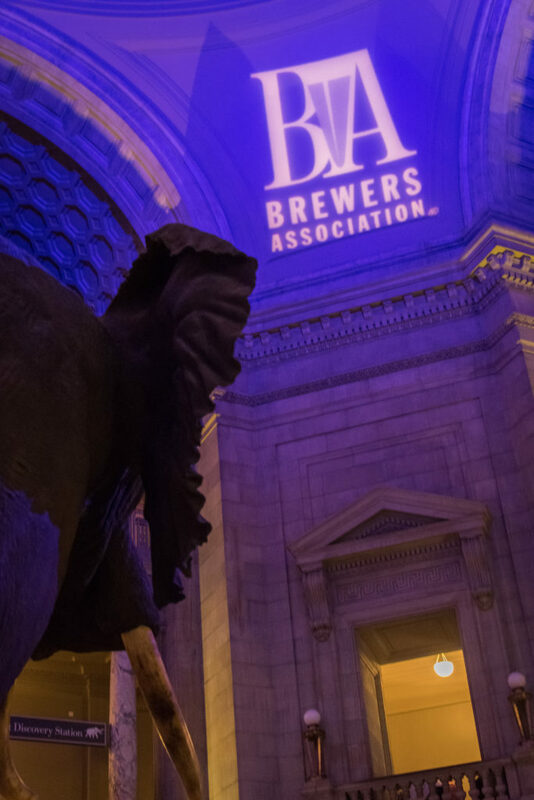 For me the Craft Brewer’s Association’s decision to host the CBC’s reception at the Smithsonian embodied everything that makes the industry great. Like the museum, the craft industry has always been eclectic, quirky and forever fascinating. And just like sipping on the latest experimental lager while standing under a 45-foot-long North Atlantic Right Whale, you never know what you’re going to get.